A6650700101 / 9303-104B. Ssangyong Rodius 2008 2.7 160 BHP Diesel High Pressure Fuel Pump. Model Rodius. Manufacturer Ssangyong. Colour Code. Product Fuel Pump. Drive Type. We are specialists in all makes and models of vehicles for breaking so the chances of you finding the correct part for your vehicle through us is very good. 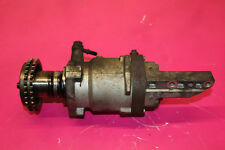 GENUINE SSANGYONG REXTON SUV Y220 SERIES 2.7L TURBO DIESEL ALL MODEL INJECTION FUEL PUMP ASSY. Fits: SSANGYONG REXTON SUV Y220 SERIES 2.7L TURBO DIESEL ALL MODEL 2005 ~ 2015 ONLY. Send through your VIN number for an accurate check on your vehicles auto parts. 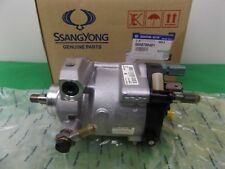 GENUINE SSANGYONG STAVIC MPV A100 SERIES 2.7L TURBO DIESEL ALL MODEL INJECTION FUEL PUMP ASSY. Fits: SSANGYONG STAVIC MPV A100 SERIES 2.7L TURBO DIESEL ALL MODEL 2005 ~ 2012 ONLY. Send through your VIN number for an accurate check on your vehicles auto parts. 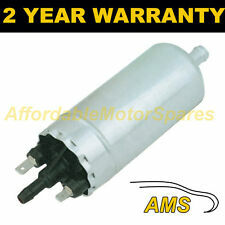 SsangYong Rexton RX270SX5 2.7 AUTO 01-06' FUEL PUMP A6650700101 / 9303-104B / R9044Z051A, AS PICTURED. MAKE AND MODEL: SsangYong RX270 SX5 2.7 AUTO ESTATE. FUEL:DIESEL. IS FREE INCLUDING SCOTTISH LOWLANDS. $IN GOOD CONDITION. TESTED / CHECKED BEFORE DISPATCH MARKS OF USUAL WEAR. COMES AS PICTURED! Comes with VAT Invoice and Warranty! Removed from: Ssangyong Kyron 2.0 XDi Manual 4WD 2006 Milage: Approx. 90 000 Miles Please make sure it fits to Your vehicle before purchase! VRM LIST IS FOR GUIDANCE ONLY! See our eBay Shop for more SSANGYONG parts & extras!!! #FIND PARTS FOR OVER 70 DIFFERENT 4X4 VEHICLES Payment We accept payment by any of the following methods: ---PayPal ---Bank Transfer ---Credit Cards ---Cash On Collection Terms of Sale 1. Buyers are responsible for ensuring the correct fitment of any item bought. No refunds will be given for parts that were bought in error. 2. Items will only be refunded after the item has been returned to us. Returned items will be checked for our markings to ensure they were supplied by us. 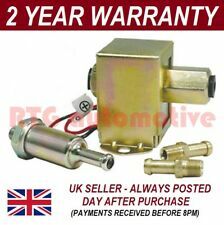 SsangYong Rexton MK1 2.7 XDI 01-06' FUEL PUMP A6650700101 / 9303-104B / 3.401.02 2-1,AS PICTURED. MAKE AND MODEL: SsangYong MK1 2.7 XDI. FUEL:DIESEL. IS FREE INCLUDING SCOTTISH LOWLANDS. ALTERNATIVELY YOU CAN ALSO CHECK WITH YOUR LOCAL MAIN DEALER. Ssangyong Kyron 4wd. All gearboxes must be filled with new oil, to the correct level upon installation. Wakefields Friendly Professional Vehicle Breakers. This part has be been removed from. Highlands and Islands. Acheck valve is located at both the inlet and outlet ports of the pump chamber to force the fuel to flow in one direction only. The pressure at which the fuel is expelled from the pump is thus limited (and therefore regulated) by the force applied by the diaphragm spring. They may need reset, reprogramming or require security codes, which we do not have. · Match yours part with ours part pictures. Ø Almost all of our cars which we are breaking are right hand drive cars. 2006 SSANGYONG REXTON. This has been taken from a 2006 REXTON but may suit other models. Model: REXTON Door Plan: 5 Door. Make: SSANGYONG Transmission: 5 Speed Manual. Year: 2006 Fuel Type: Diesel. Injector Pump (High Pressure). All our parts are genuine! Part Number: A6650700301.and don't forget drive safely! Item Condition. 95% tested parts. Reference OE/OEM Number: R9044Z052A. Let us have your car's VIN(Vehicle Identification Number) and we will. check the exact parts numbers for your vehicles what you need. Donor Vehicle: SSANGYONG KYRON 2.0 XDI AUTO 2006. The Mill Walk Garage Ltd. ANY LOCATION OUTSIDE THE UK. Arran - KA27 KA25. Oban - PH 33, PA20-49, PA60-80, KA28. Inverness - ALL. Shetland ZE1-3. Orkney KW15-17. VEHICLE SUITABILITY #Vehicle: SSANGYONG MUSSO - 3.2L M162 E32 DOHC 24v MPFI 6cyl - 4sp Auto - 4D Wagon - 4WD. Send us your full digits of VIN number Engine code Date made, we will search for it in our system for the correct OE number, then match it for you. Pompa carburante Kraftstooerderpumpe Indicatore livello carburante per Ssangyong Tivoli 2WD. Bomba de combustible Kraftstooerderpumpe Sensor de nivel de combustible para Ssangyong Tivoli 2WD. Kraftstoffpumpe Kraftstoörderpumpe Tankgeber für Ssangyong Tivoli 2WD BJ15 1,6 94KW. Check the exact parts numbers for your vehicles what you need. 07/96 - 08/98 SSANGYONG MUSSO 3.2L M162 E32 DOHC 24v MPFI 6cyl Auto 4D Wagon 4WD. 02/97 - 08/98 SSANGYONG MUSSO 3.2L M162 E32 DOHC 24v MPFI 6cyl Man 4D Wagon 4WD. We aim to send all goods as quickly as possible once your order has been finalised. Body color / code. Body Style. Vehicle identification number. 12 month warranty. Power Steering. Leather interior. Particulate filters (DPF). Heated seats. This is a universal fuel pump equivalent to the Bosch ‘070’ type performance fuel pump (0580464070). which can be adapted to fit many petrol/ diesel engines. • 15mm Inlet & 8mm Outlet. 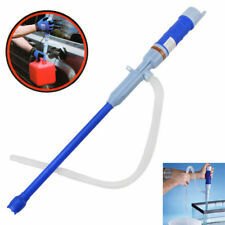 The item you are purchasing is a Universal 12v Fuel Pump. This part is equivalent to Bosch 0580464070. 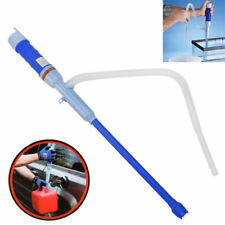 This is a high performance universal electric fuel pump. Universal 12v Fuel Pump (Bosch 070 Type). Any reference to specific vehicles or manufacturers are for reference only. Online-Streitbeilegung gemäß Art. 14 Abs. DE-57577 Hamm/Sieg. De esta forma acelerará la tramitación de la devolución y evitará tiempos de espera innecesarios por falta de informaciones. Siempre nos esforzamos en solucionar a su plena satisfacción cualquier irregularidad o problema que pueda surgir. Delphi Diesel Injectors. Delphi Diesel Valves. - Diesel Injectors. Other Diesel Injectors. Bosch Diesel Injectors. Denso Diesel Injectors. - Diesel Filters. - Diesel Valves. The fuel pump is usually located on the front of the engine block, close to the carburettor system. The pressure that the pump needs to create depends on your engine type. Not all vehicle engines require a fuel pump, but most modern car engines have a pumping system that feeds fuel through a line or hose to the engine. Distributors and Independent Repairers alike recognise this pedigree. Each unit undergo's strict testing to ensure parts are of OE specification at our in-house facility. SMPE - The UK's leading automotive parts manufacturer and supplier. Fuel Parts Diesel Injector DI620 Replaces A 664 017 01 2118228,10303807. The introduction of emissions legislation into MOT tests during the following years, made Fuel Parts a popular supplier for this growing market. Cross ReferenceR04501D,DI620,87301. Distributors and Independent Repairers alike recognise this pedigree. Each unit undergo's strict testing to ensure parts are of OE specification at our in-house facility. 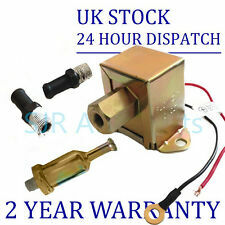 Fuel Parts Diesel Injector DI426 Replaces 0010174912,20173421,20173421. The introduction of emissions legislation into MOT tests during the following years, made Fuel Parts a popular supplier for this growing market. Fuel Parts Diesel Injector DI361 Replaces 665 017 01 21,A 665 017 01 2160-03-361. The introduction of emissions legislation into MOT tests during the following years, made Fuel Parts a popular supplier for this growing market. FIAT CROMA -154 2.5 2500 V6., Intake Manifold Injection/ Carburettor. BOSCH WIPER BLADES & MOTOR. CHAMPIONS WIPER BLADE. APEC WHEEL BRAKE CYLINDER. APEC BRAKE DISC & PADS KIT. BOSCH IGNITION & FUEL PARTS. RENAULT 21 Fuel Pump 0440020078 2 01/89-01/94. Hatchback / Petrol / All-wheel Drive. RENAULT 21 (B48_) 2 (B48R/Y). BOSCH WIPER BLADES & MOTOR. CHAMPIONS WIPER BLADE. BOSCH IGNITION & FUEL PARTS. APEC BRAKE DISC & PADS KIT. Fuel Parts Diesel Injector DI575 Replaces 664 017 00 21,664 017 02 21. The introduction of emissions legislation into MOT tests during the following years, made Fuel Parts a popular supplier for this growing market. Notes: Car engine was in good condition. All our parts are genuine! NOTE: All our parts are from RHD (Right Hand Drive) vehicles.and don't forget drive safely! 95% tested parts. Item Condition. BOSCH SLAVE CYLINDERS. PEUGEOT PARTNER -5 1.9 D. BOSCH WIPER BLADES & MOTOR. LUK OE QUALITY SLAVE CYLINDER. CHAMPIONS WIPER BLADE. APEC WHEEL BRAKE CYLINDER. APEC BRAKE DISC & PADS KIT. BOSCH IGNITION & FUEL PARTS.